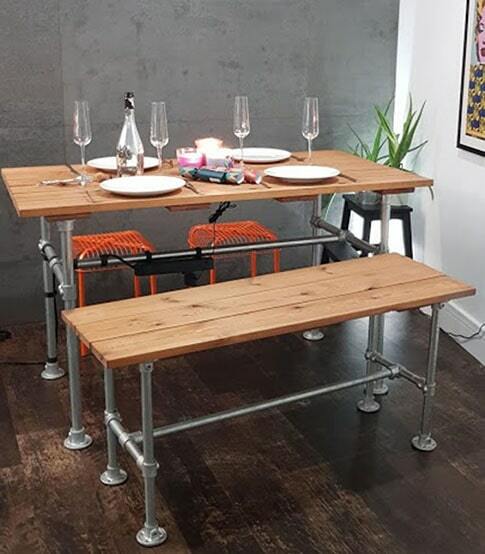 Finding the perfect industrial table for your dining room can be a hard task, especially if you are looking for a versatile piece of furniture that will look modern, is functional, will last you a lifetime and is incredibly sturdy. 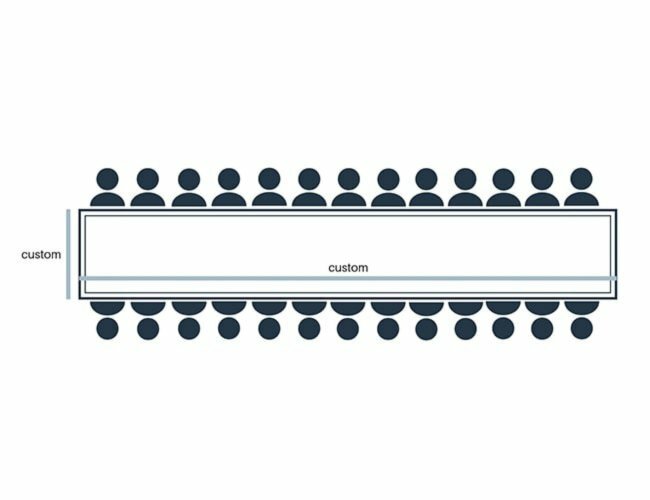 What if we said you can now design the table of your dreams? 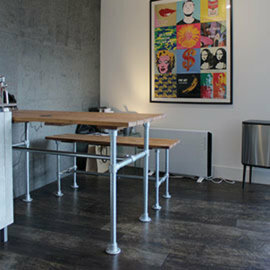 What makes an industrial dining table? 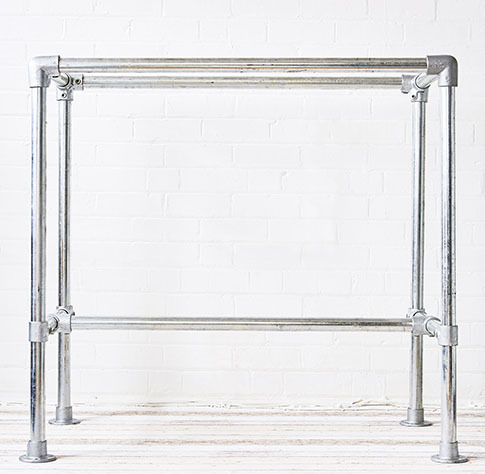 The industrial look has been around for years, making furniture such as tables, beds or storage units the centrepiece of any modern room. 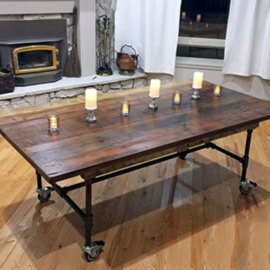 Usually made of steel and reclaimed wood, an industrial dining table is a functional, sturdy unit that can be designed to even accommodate a very large family. 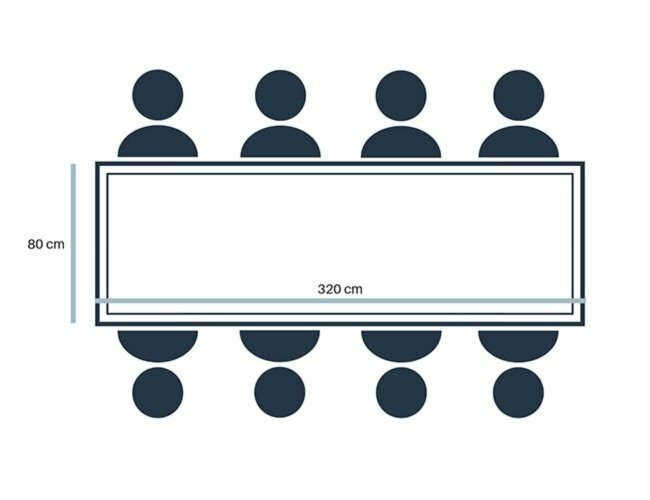 How do our table frames work? 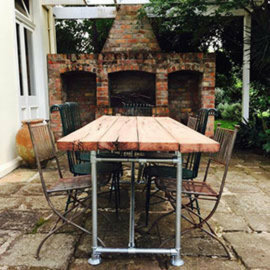 Our popular table frame designs use galvanised steel and fittings to create a modular, customisable tables that will suit the user’s specific requirements. 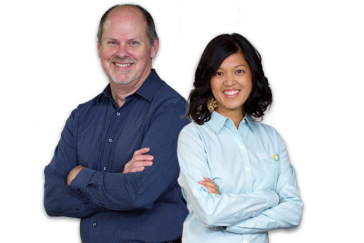 What is more, all you need is an Allen key to put them together. No nuts and bolts, the grub screws are already integrated within the fittings! The frames can be configured to accommodate any table top (wood, concrete, glass, quartz) and any number of guests. 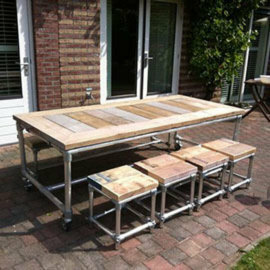 You can easily design a small industrial dining table or a very large one by choosing one of our frames and using your own table top. 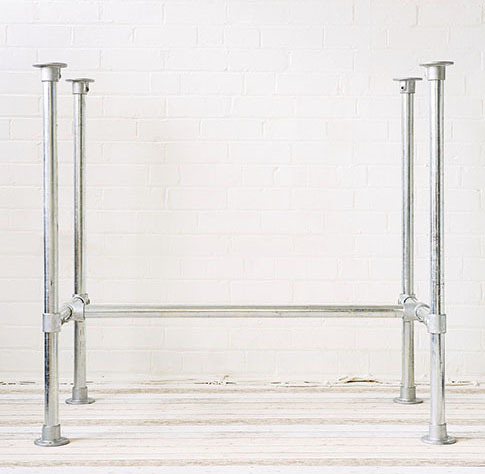 When building a table frame, you need to take into consideration the kind of top you want to use, as well as the space you've got available in your room. 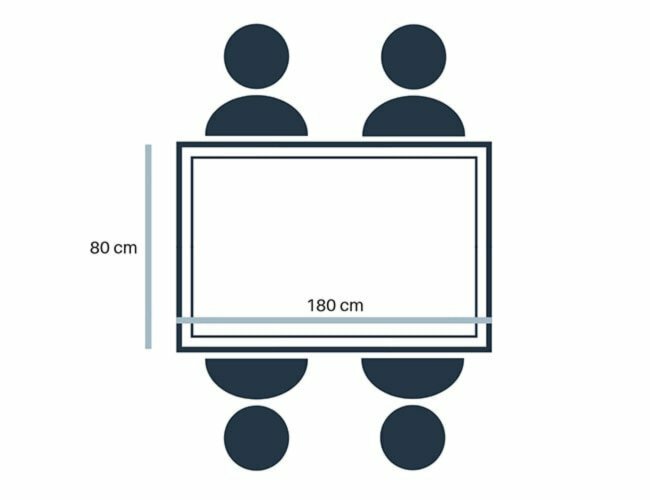 Depending on the length of the table and the weight of the top, ideally you will need additional middle legs every 1.5 m.
For lighter table tops, such as plywood or scaffolding for example, we recommend choosing the Standard Table Frame Kit. The frame attaches to the top using screws. 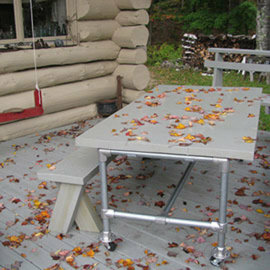 For heavier tops, such as solid wood, concrete or quartz we recommend choosing the Rugged Table Frame Kit. The top will rest on the frame, with no drilling into the top required. 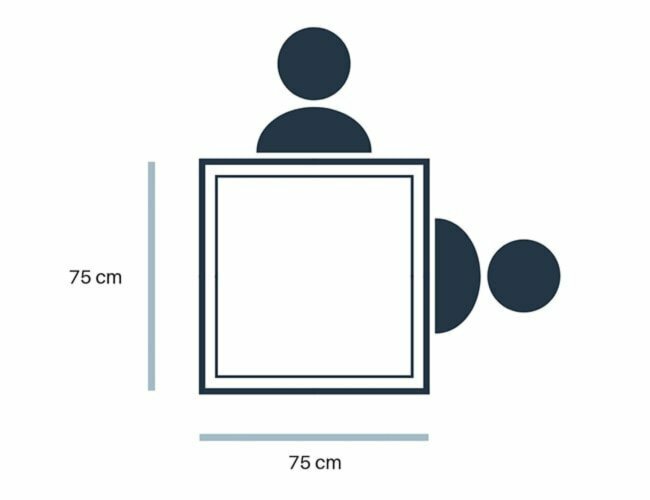 Small dining table: Choose a 75 cm x 75 cm frame. 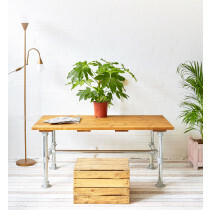 Small dining table: Choose a 180 cm x 80 cm frame. 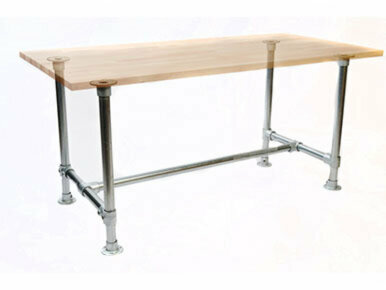 Large dining table: Go for a 240 cm x 80 cm frame. 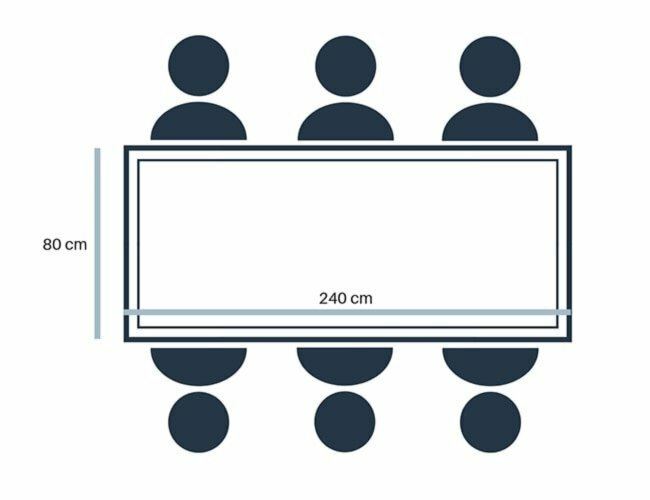 This table needs additional support in the middle. 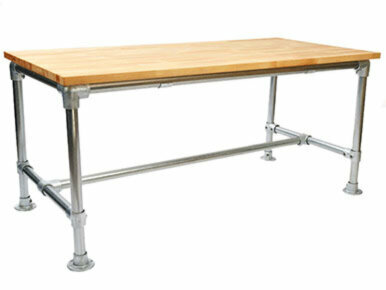 Large dining table: Go for a 320 cm x 80 cm frame. This table needs additional support in the middle. 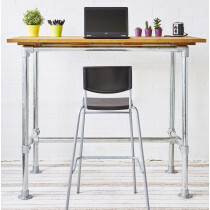 Minimalism, functionality, raw aesthetic are all characteristics of the industrial trend. 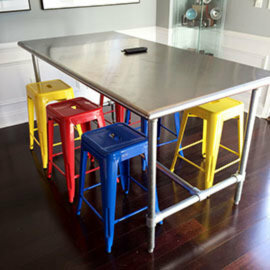 When it comes to furniture (tables in particular), this translates into a rugged, unpolished look which usually includes materials such as steel or other metals, wood, pipes, castors. The trend embraces the uniqueness and imperfections of each furniture item, whether this refers to the unevenness of materials, small 'defects' such as scratches and dents or the repurposing of old or discarded elements (such as wooden planks etc).